WHY PAY 6% REAL ESTATE COMMISSIONS TO SELL YOUR HOME? My focus beyond that of a “discount” brokerage. I focus on helping you, the client and on customer service above all else. ​As a Real Estate Broker, I work hard for my clients. The work to sell a home is a lot of sweat from getting the house ready for sale to marketing, advertising, negotiating, paperwork and more. There are countless hours of work behind the scenes most of us do that only few homebuyers and sellers realize. ​So, why would anyone offer to work for reduced fees? As of May 2017, the median home values are $1,100,000 in Berkeley, $805,000 in Alameda County, $600,000 in Contra Costa County and almost $1,500,000 in San Francisco. I can unquestionably make a healthy living for my family selling homes for less than the standard six percent commission. This business model may not be the popular belief of other realtors in most cases, but it is mine. San Francisco Bay Area home values have gone up 9.5% over the past year. University of California Los Angeles’ new Anderson Forecast predicts California and Bay Area housing set to get even pricier next year. 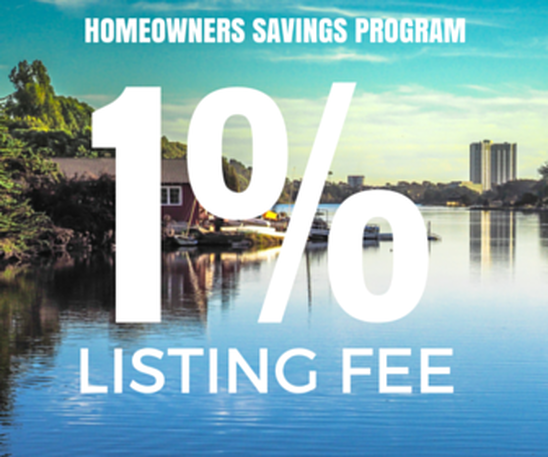 I genuinely believe that with our platform of selling homes at the rate of 1%, we can sell your home faster and just as efficiently any other real estate agency in the marketplace. Just think of the savings! At the median price at or above a half a million and change, you could be paying more than $30,000 of your hard-earned equity for selling your home with the traditional realtors. I do provide all the same services of a traditional real estate brokerage if not more at highest levels. I offer all the same listings, marketing, and a personal service that any larger agency would provide. Buyers buy homes they don't buy the agent or his company. They don't care who is the listing agent or the company. What they want is your home in this crazy multiple bidding times. I negotiate on your side to get you the best price possible for your home. SELLING HOMES is MY specialty. My commitment to you is to put the effort and work to sell your property at highest value market demands or better, in record time. So ask yourself, “Why Pay 6%?”. Pick up your telephone and call me today or fill out one of the forms on my website.